BusinessWorks - Elevating Your Efforts! Want to build a more inclusive, equitable organization? 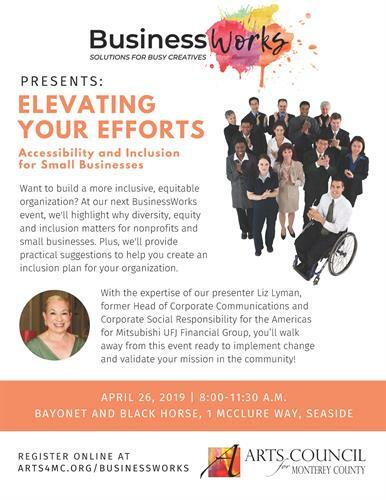 Join us for our next BusinessWorks workshop where we'll highlight why diversity, equity and inclusion matters for non-profits and small business and provide suggestions and toolkits to help you create an inclusion plan for your organization.